Spektre Off Shore Doppio - Rose Gold w/ Rose Gold Mirror Need Help? Spektre’s Off Shore Doppio is sleek and contemporary cat eye sunglass which compliments any face shape. It features clean lines with a double bride, flat (base 2) mirror lenses, and is available in assortment of stunning colorways. 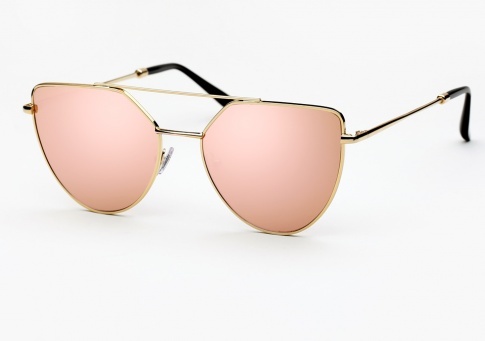 It is offered here in Rose Gold paired with Rose Gold mirrored flat lenses.